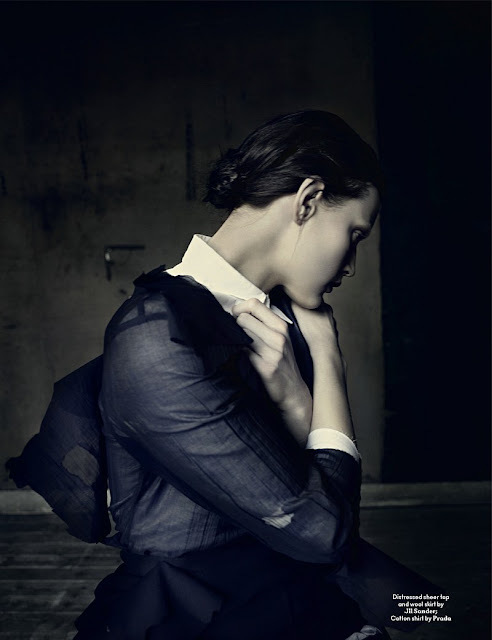 this spread just completely expresses my feelings of this day... From Vogue Italia to British Vogue, when Paolo Roversi and model Guinevere van Seenus get together there is always magic to be made. Resembling a gothic pin-up, Guinevere gives us an eyeful in sheer and revealing looks styled by Olivier Rizzo. Have a gothic day guys! it would mean a lot to me, i'm organising an art exihibition here, in italy. WOW,that's amazing!! !Love the 3rd picture and the styling of the entire editorial! like the pictures! nice post.